All vegans have been asked this question: "Where do you get your calcium?" 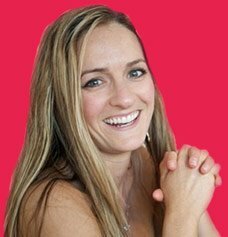 It's usually squished between the "what do you eat," and "where does your protein come from" questions and accompanied by a puzzled, squinty-eyed, tilted-head expression. And I do get it; most of us were raised on the concept that milk is incredibly healthy for us and we need to drink a lot of it to build strong bones. Too bad that's a lie. One of the age-old myths about veganism is that it's hard to get calcium if you don't drink dairy products. And, one of the age-old myths about calcium is that you need it to keep your bones strong. Since the 1950s, the idea that calcium is essential for building strong bones has grown from a theory to accepted fact. I don't know many people who live in industrialized nations who wouldn't list milk and cheese as the best sources of calcium, and who wouldn't say that you have to drink it every day. However, when scientific studies seem to actually prove the opposite. In those countries that drink the highest amounts of dairy products, there are the highest bone fracture and osteoporosis rates. How could that be possible? If science shows us that dairy doesn't do a body good, why are we encouraged to drink it? I looked into that very concept to try to find the answer in my ebook called Cut the Cheese, which addresses vegan calcium in depth. One of the worst components of dairy products is probably the animal protein in it, casein. Casein has actually been shown to leech the calcium out of our bones, making it harder for us to assimilate and use those high levels of calcium that are present in dairy products. Even though cow's milk has a good amount of calcium in it, your body is actually absorbing less of it than it does with vegan calcium sources. The lesson is... don't be fooled by advertisements for the big dairy corporation. Even the USDA food pyramid can be tricky, as the committee that designed the pyramid was originally headed by people who had political interests in the dairy industry's success. Though we don't need to obsess about it, calcium is still an important mineral, and we can easily get plenty of calcium through plant sources. Good sources of vegan calcium are necessary for humans because it helps keep the firmness in our bones, helps our blood clot, and energizes our muscle function. Adults should take in about 1000 mg of calcium per day, and that slightly increases past the age of 50. Dark leafy green vegetables like kale, mustard and collard greens, broccoli, bok choy and chinese cabbage, and okra contain tons of vegan calcium. Even grains, fruits, beans, blackstrap molasses, and other fruits and vegetables supply vegan calcium to our bodies. In less than a cup of collard greens, there is as much calcium as in a cup of cow's milk. And, of course, the calcium in collard greens is easy for our bodies to assimilate into useful calcium, and it won't steal the strength from your bones. A good number of vegan foods are fortified with calcium, especially soymilk and tofu, but even orange juice is fortified with calcium. There is as much calcium in four ounces of tofu as in a cup of cow's milk. 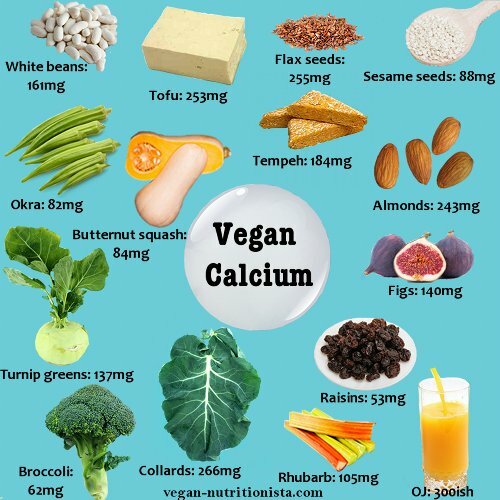 Check out this list of vegan calcium sources and a nice infographic to save for later. You should expect to get about 300mg of calcium from a glass of milk. Now, not all of that calcium will be absorbed by the body because that naughty casein steals it, but let's just compare it at 300mg. That would be just under a third of the amount you need daily. But consider this, if you had a cup of collard greens, you'd ingest 350mg of calcium right there (or try kale for 179mg, turnip greens for 250mg, bok choy for 158, or mustard greens for 150mg. )* You could roast up some tofu to go with the greens for a Southern style dinner and take in anywhere from 200-350 mg, depending on the brand and what it's processed with (Prefer tempeh? It has about 215mg.) Finish it off with a glass of orange juice for about 300mg and you're at 1000 for the day. Wasn't that easy? Maybe you want to come up with a fancy dessert idea that involves 2 tablespoons of blackstrap molasses for 400mg calcium with a cup of figs for 241 mg, and perhaps a cup of rhubarb for 250mg calcium. Dessert alone gives you plenty of calcium. Maybe I'm getting too wild and fancy here. Maybe you're a PB&J kind of person. Well, if you use 2 tablespoons of almond butter on your sandwich, you'll get 89mg calcium. You could add 2/3 cup raisins for an ants on a log kick and 53mg right there. Wash it down with a non-dairy milk that's fortified with calcium for around 100 mg. That's an easy lunch that gets you a quarter of the way to your calcium needs for the day. 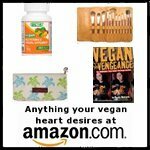 As long as you eat a varied diet, getting enough vegan calcium is easy. I recommend a diet full of a variety of whole grains, beans, vegetables (especially leafy green vegetables), fruits, and complemented with nuts as seeds.